Naturally, semi-auto pistols are most conducive to concealed carry given their flatter shape, but what about concealed carry revolvers? As it turns out, a lot of people still carry a wheelgun. Not only that, but there are also revolvers to fit any kind of concealed carry method, be it ankle or pocket carry, IWB or concealable IWB - the revolver is still perfectly viable as an implement of defense. 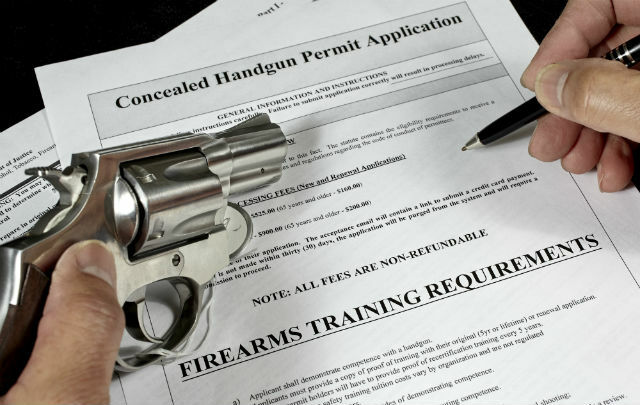 There are a number of reasons why some prefer a concealed carry revolver over an auto. Some people are frankly old enough to have far more experience with revolvers compared to semi-autos. In truth, the best concealed carry gun is the one that you can shoot best with - if that's a revolver, carry a revolver. Another truth is that guns are machines. Like any machine, the greater the number of working parts, the greater the chance of failure. (Ever hear someone bemoan how easy cars from the 60s and 70s were to work on compared to today? There's something to that.) Semi-auto pistols are more complex than revolvers and are more likely, on that basis, to experience mechanical failures. 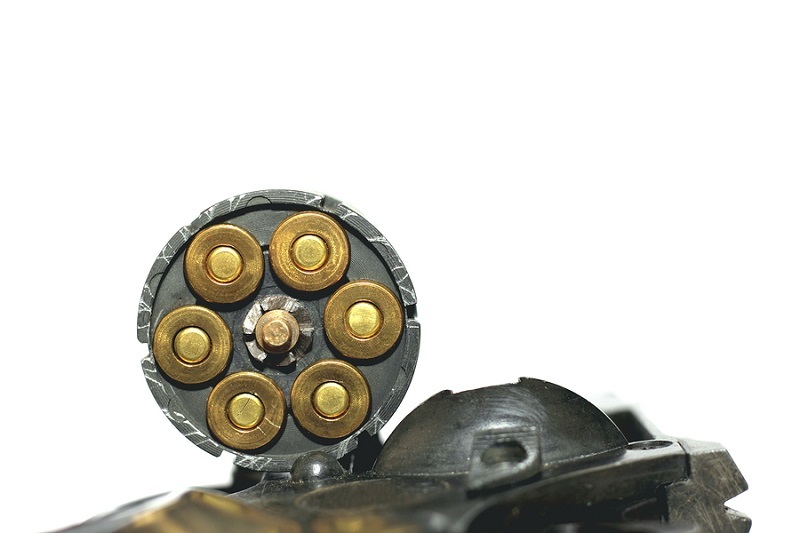 Another reason is that larger calibers can be chambered by revolvers, such such as .357 Magnum, .41 Magnum, .44 Special, .44 Magnum and .45 Colt. The caliber wars are mostly bunk; shot placement is (also was and always will be) the most important thing, but the truth is that whatever you can shoot best is the best carry caliber. If that's .38 Special or .357 Magnum, carry that. Obviously, the best concealed carry revolvers are those of the snub-nose revolver variety. To this day, they remain wildly popular both for deep concealment. They are also a very capable backup gun, in case a person doesn't mind the New York reload strategy. Typical snub-nose revolvers are compact, five or six-shot pistols with a barrel length of 2 inches or less. The most common chambering is .38 Special. However, other chamberings can be had as well - though they are somewhat rarer. There are .32 Magnum rounds, such as the .32 H&R Magnum and .32 Federal Magnum. The .32 magnums offer serious performance for little recoil, but have found few adopters. There are some snub-nosed .357 Magnum pistols. These pistols will obviously fire .38 Special as well, since nearly all .357 Magnums can, but the recoil is more than some shooters can tolerate. Snub-nose revolvers were formerly THE standard for deep concealment, and are still very popular pocket carry and ankle carry guns. They also conceal very easily on the belt, whether in a high-riding OWB holster or IWB rig. A person isn't limited to a snubbie if they want a CCW revolver, though they are the easiest. A good number of companies make holsters for larger revolvers. Granted, concealment has some limitations, given that revolvers range from fitting entirely in the palm to the frankly enormous. For instance, it's relatively easy to find, say, an IWB holster for a medium-sized revolver like the Smith and Wesson K-Frame, which is not much bigger than the snubnose J-Frame but does have many models with a longer barrel than that of the J-Frame. Revolvers of this size will conceal more easily given their more compact nature compared to larger pistols. Many revolvers of moderate size can also be easily concealed on the belt in an OWB holster. Some OWB holsters are easily concealable under an untucked shirt, though many are not; those of a high-riding design are the most easily concealed. However, it will be much easier to conceal, say, Ruger Super Redhawk, Walker Colt or Smith and Wesson Model 29, aka the "Dirty Harry" revolver. With a shoulder holster, it is possible...until your shoulder gives out, which won't take long. 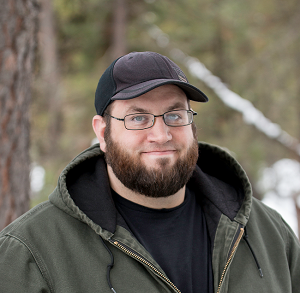 Ultimately, concealment is made easy or difficult by a few different factors. First is the gun itself. A huge gun is harder to conceal than a small one. The holster is also important, as some designs - IWB, high-ride OWB - are easier to conceal than others. Lastly, a good gun belt helps by keeping a pistol secured where one puts it. So long as a revolver's design lends itself easily to concealment, it's perfectly viable. Now that we've gone over the how of concealed carry revolvers, let's get into choosing a concealed carry revolver. Now, for CCW purposes, you're generally looking at small- to medium-frame sizes and barrel lengths of four inches or fewer. The appeal of simplicity of operation (point, shoot, repeat) and the rugged reliability of a decent wheelgun have kept concealed carry revolvers a viable choice of personal protection since their invention. 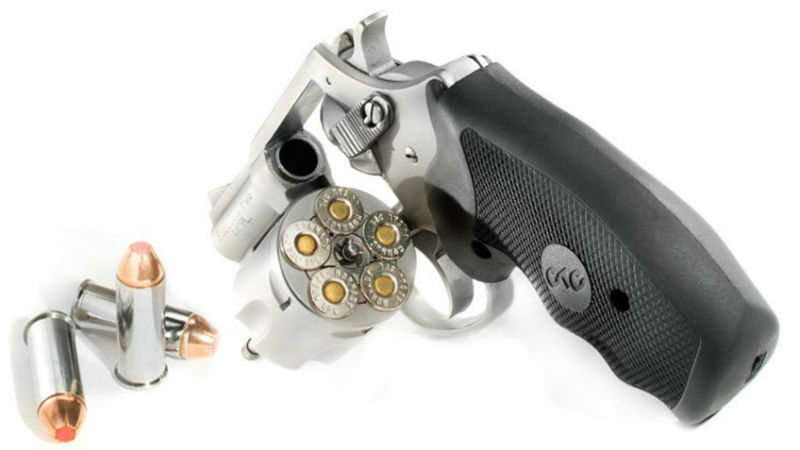 Don't necessarily count them out; a CCW revolver is a classic and very viable choice of defensive pistol. Most people carry snubnose revolvers with a 1.8- to 2-inch barrel, though some models go up to 3 inches. Most weigh around a pound unloaded, so easy to carry and easy to conceal. However, shooting will be a touch lively. There are some medium-frame guns with shorter barrels for easier carry, with about a 2.5-inch barrel in many cases. However, these are still fairly sizeable and not the lightest guns to carry. Some layering may be required, though many find an IWB holster carries them fairly well. Almost all models are double-action. Some are double action only and a few models have shrouded or otherwise low-profile hammers which allow double- or single-action operation but are streamlined for an easy draw from concealment. You'll find a variety of frame designs and options as well. As to caliber, .38 Special and .357 Magnum are most common. You may also find the odd model in .32 H&R or .327 Federal, some in .22 LR and .22 WMR aka .22 Magnum. There are also a few out there in .44 Special, .44 Magnum and .45 Colt, which require a slightly bigger frame, which means a bit more weight to pack around...and stouter recoil while shooting. The .38 Special is probably the best all-rounder. It's a capable defense round with good hollow points or other self-defense ammunition, though recoil is still noticeable. The .357 Magnum in small and compact medium-frame guns will be sharp and snappy; many shooters find full-house loads in small guns all but intolerable. .44 Special is comparable to a .45 ACP in almost all respects. Recoil is ample (though not unmanageable) in most loadings and the same is true for .45 Colt. 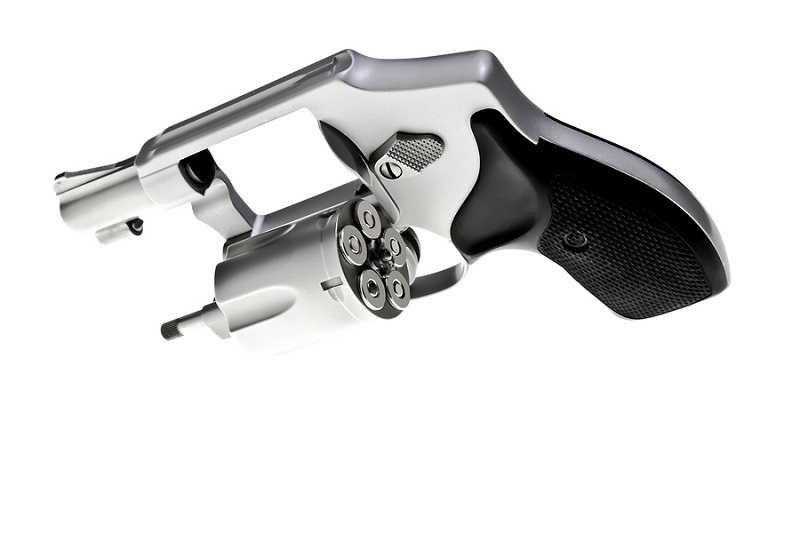 The .44 Magnum is available in only a few compact medium-frame revolvers and will be a right handful. 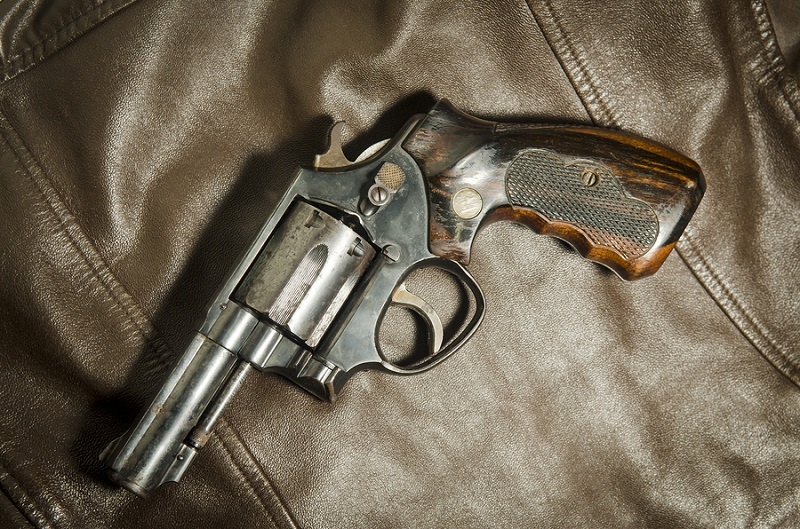 As to revolvers themselves, small-frame revolvers such as Smith and Wesson's J-frame, Ruger LCR and LCRx revolvers, Colt Cobra, Charter Arms revolvers and so on are most common. Most will be .38 Special, but .357 is also well-represented. The modern .32 magnums are decent, but don't select a .22 as a defensive pistol unless you just can't shoot anything else. Also take care to select an appropriate carry round. Short-barrel loads have been developed specifically for concealed carry revolvers, so those are the ones to carry. Wadcutters and soft lead bullets work in this capacity as well. Make sure to put in the practice time, too; you can easily learn how to hit close-up with a snubbie, but gaining serious proficiency takes time. Make sure you handle a few in a gun store and better yet, rent a few at a range and do some shooting. The one that fits best and shoots best in a good defensive caliber is the one to acquire.